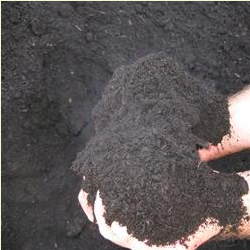 Natural, high quality soil and mulch makes a world of difference for your residential or commercial landscape. Our premium compost and soils are perfect for conditioning your existing soil or for raising flower beds, and remains a great planting medium for seed, sod, trees, shrubs and plants. 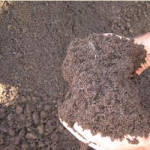 View more about our different Soil & Mulch and contact us with any questions or to place an order. Our Cedar Grove Compost is the most popular compost available in the Puget Sound area. 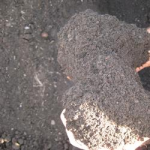 Use as a premium amendment to your existing soil, or for use as a ground cover instead of bark. 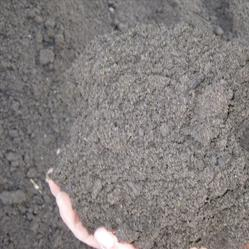 Cedar Grove compost is delivered from green waste, which is simply grass clippings, leaves and other natural organic matter that is processed to a dark, rich screened material. This is our own custom garden mix blend with 50% top soil, 25% compost, and 25% Steer-gro which is extremely rich. All ready for your raised garden beds or just general planting – great for fall bulbs, plants, and vegetables. Groco is an all natural soil conditioner manufactured by blending sawdust with bio-solids (a by-product of waste-water treatment plants). Groco contains micro and macro nutrients that the Northwest lacks, but are required for healthy growth of plants. Moo-Doo is an organic product made from aged cow manure and sawdust mix. Because it’s already been processed, Moo-Doo can be applied directly to vegetable gardens, flower beds, tomato pots, raised beds, berry rows, house plants, shrubs, trees, and hanging baskets. Spread 1” to 3” on loosened soil and spade in. For mulching, use 3” on top. For potting, use 2/3 soil to 1/3. 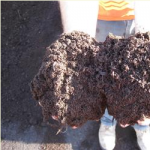 Moo-Doo compost enriches soils and helps regenerate poor soils through the production of beneficial micro-organisms. Composting also helps suppress plant diseases and pests, reduces the need for chemical fertilizers, and promotes higher yields of agricultural crops. Our top soil mix, consisting of 60% native soil, 20% sand, and 20% compost, makes our Pro Gro one of the finest soils available in the market. Topsoil is used for both commercial and residential needs including golf courses, athletics fields, for sod, home gardens, and planting beds. Our turf soil is a custom blend of 50% topsoil, 25% Groco, and 25% sand. 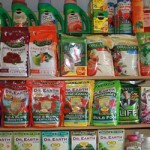 Great for planting new lawns, using seed or sod, and for planting trees, shrubs, and plants. Use our landscape material calculator below. 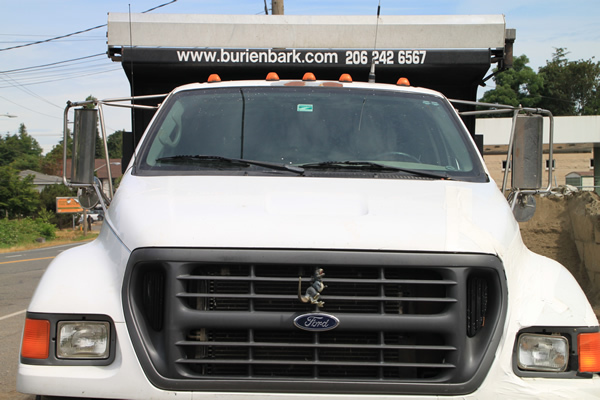 Pickup at our Burien yard or contact us for delivery. 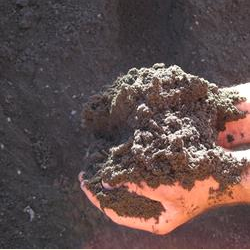 We carry a great line of specialty soil enhancers, fertilizers, and peat moss. 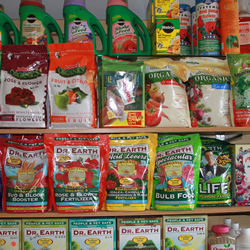 Our brands include Dr. Earth, Foxfarm, Lucky Dog, and Alaska Peat Moss. See our products listed below. If you can’t find what you’re looking for, give us a call. We may have it in stock, or we will special order it for you.